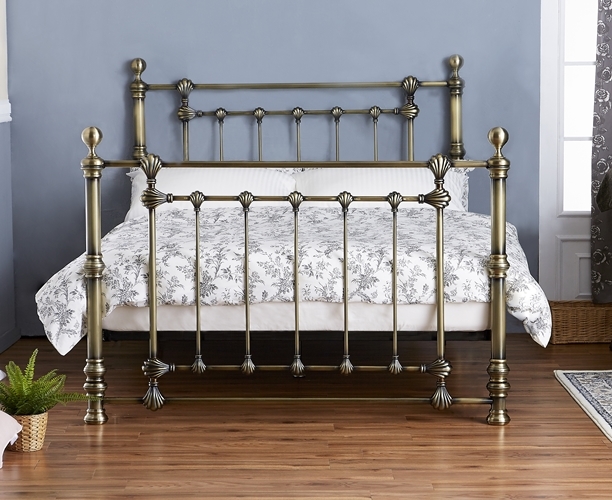 This Victoria Antique Brass Effect Bed Frame has traditional roots but is then complimented with a sleek and minimal contemporary design. The elegant bed frame features a beautiful and traditional design with a Victorian influence. The antique brass finish enhances the stunning design and metal work, which perfectly compliments the look, giving an air of sophistication and elegance. Available as either a standard 4'6" double bed or as a 5'0" king size frame.